In memoriam. This lovely house was taken down by Hurricane Sandy. 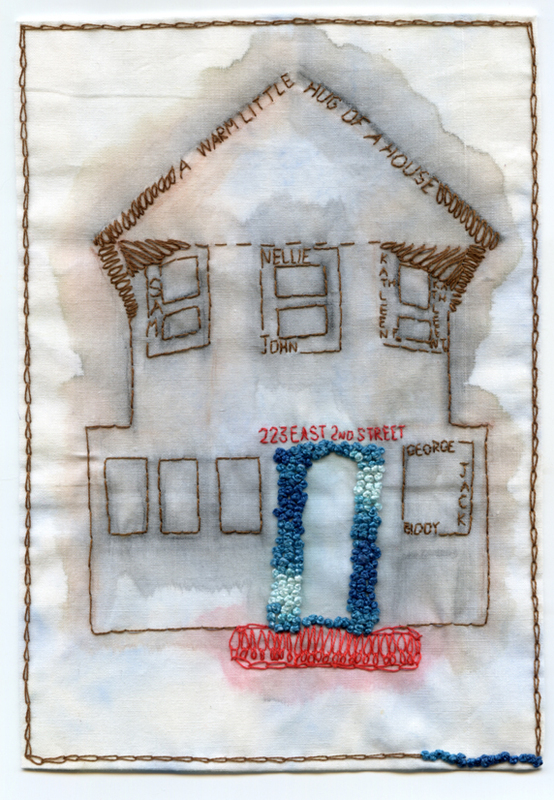 A dear friend, also an artist and curator, asked me to make this piece as a tribute to the memories and love the house hosted. Embroidery and watercolor on fabric.